An exclusive new partnership between the Pacific Asia Travel Association and Tourism & Events Queensland will provide Queensland tourism businesses with access to the latest Asia-Pacific visitor research. The partnership will empower tourism businesses with access to a world first exclusive online visitor data, TEQmPower. Pacific Asia Travel Association chief executive Martin Craigs is expected to announce his retirement from the role today. PATA is presently meeting at its Travel Mart 2014 event in Phnom Penh, Cambodia, with the board of the organisation reportedly selecting a new leader for the organisation. The Pacific Asia Travel Association is has revealed BBC Global News, the owner and operator of BBC World News and bbc.com/news, as the new PATA Premier Media Partner. As a membership association advocating for the responsible development of the Asia Pacific travel and tourism industry, the partnership will provide PATA the opportunity to reach more than 200 countries and territories worldwide, and over 389 million households and 1.81 million hotel rooms. The Pacific Asia Travel Association has announced the extension of its strategic partnership with TripAdvisor. The strategic partnership will facilitate further engagement on joint initiatives in publishing, research, surveys, events and advocacy. The Pacific Asia Travel Association (PATA), The Netherlands Centre for the Promotion of Imports from Developing Countries (CBI), and Travelife have kicked off their co-operation with a series of training courses for tour operators and advisors. The Pacific Asia Travel Association has signed a Master License agreement with China Ready & Accredited in order to promote the global rollout of CRA programmes to PATA members. CRA delivers a global system of training and accreditation, which provides Chinese consumers with an assurance of a pre-determined level of service quality when interacting with product and service providers outside mainland China. PATA chief executive Martin Craigs here talks to Breaking Travel News reporter Phil Blizzard about the origins of International Air Transport Association during the organisation’s 70th Annual General Meeting in Doha. Also on the agenda are the growth of Gulf-based ‘super-connector’ carriers, the problems with UK aviation taxation and the challenges facing international travellers. 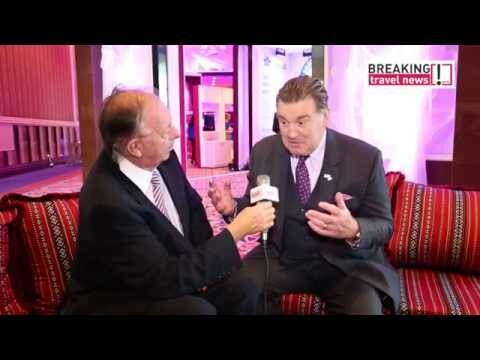 Video: PATA chief executive Martin Craigs here talks to Breaking Travel News reporter Phil Blizzard about the origins of International Air Transport Association during the organisation’s 70th Annual General Meeting in Doha. Also on the agenda are the growth of Gulf-based ‘super-connector’ carriers, the problems with UK aviation taxation and the challenges facing international travellers. PATA chief executive Martin Craigs here talks to Breaking Travel News about the consequences of government inaction on tourism, what the sector can do to further advance its agenda and the potential for growth in the Chinese tourism sector. 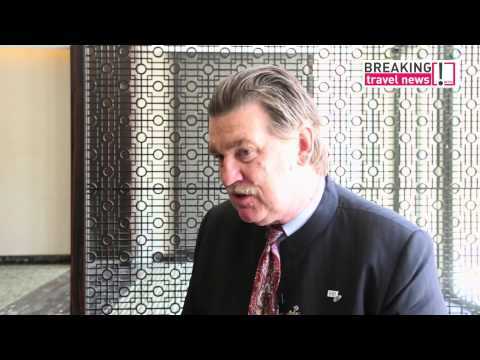 Breaking Travel News speaks to PATA CEO Martin Craigs at WTTC 2014. The Pacific Asia Travel Association will hold the 37th PATA Travel Mart at Diamond Island Convention & Exhibition Centre, Phnom Penh, Cambodia. The event is being hosted by the ministry of tourism of Cambodia and will take place from September 17th-19th.